Best range promotion: This past year we introduced Cog Hill dollars to our customers. After manufacturers announced their new product offerings, and equipment came off of their respective pricing policies, we offered $100 off of a set of irons, $50 off the purchase of a Driver, $35 off of any fairway wood, and $25 off any hybrid and putter. We also began offering a round of golf M-TH with the purchase of equipment, knowing a single buyer would typically bring 3 additional golfers with them. 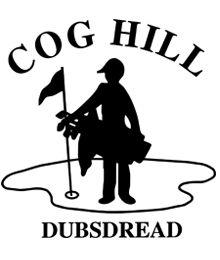 The Cog Hill dollars were handed out to our regular customers and the promotion was a catalyst in helping move 90% of our hard goods inventory. Cadillac/David Leadbetter Clinics: All day multi station clinic headlined by David Leadbetter and featuring five local PGA Professionals. The event is marketed towards Chicago and NW Indiana residents interested in purchasing a new Cadillac. Over 1,000 participants throughout the day. IL PGA Drive Chip and Putt regional site: Regional site for over 80 junior golfers participating for a chance to move on to Augusta National and the National Championship.